It is a great honour for us to invite you again to the 21st anniversary of the International Festival of Wind Orchestras to Prague. This festival traditionally takes place at the beginning of the year, in 2019 it will be held from Friday 15th February to Saturday 16th February. The Festival is organised and realised by the Organisational and Festival Agency OR-FEA in co-operation with NIPOS-ARTAMA – The National Information and Consulting Centre for Culture of the Ministry of Culture of the Czech Republic. Amateur orchestras (harmonies, fanfare orchestras and brass bands) without age limit that comply with the conditions of the participation are allowed to participate in the festival. Competition of the individual categories (Friday, Saturday). The competition is open in following concert categories: lower class - middle class - higher class - and the top class. The orchestras classify into the categories by themselves. There is a compulsory composition advertised for each category. The organiser of the festival appoints an international professional jury, which consists of experts of Czech and European wind music. 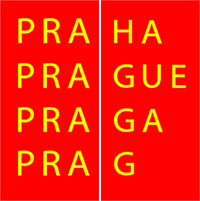 The festival takes place under the auspices of the Prague City and WASBE- World Association for Symphonic Bands and Ensembles and under the financial support of the Prague City and the Ministry of Culture of the Czech Republic.